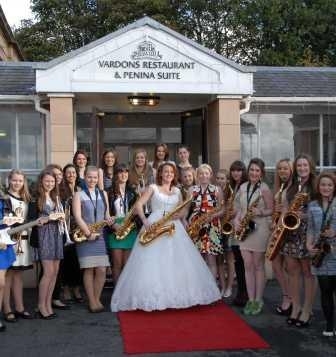 On Saturday, the Westholme School Swing Band entertained the guests at the wedding of former pupil Dr Harri Lewis. After a beautiful service in The Carey Baptist church in Preston the Band played to guests at the reception at the Shaw Hill Golf Club. 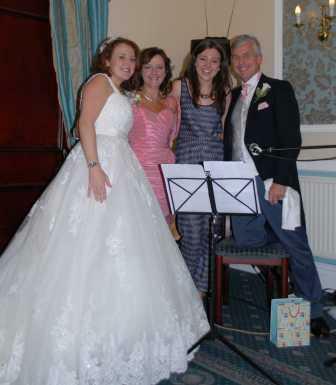 One of last year’s Music Captains Jade Jones played her guitar and sang during the wedding breakfast. Other former pupils attending included Anna Davies, Hannah McIntosh, Charlotte Horman, Liz Halstead, Amelia Fisher, Charlotte Holden and Umang Qazi. Congratulations Harri – we wish you every happiness in the future!